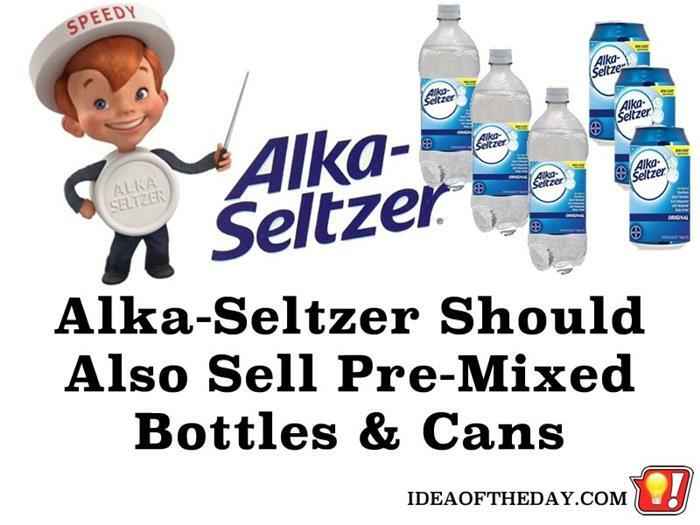 Alka-Seltzer Should Also Sell Pre-Mixed Bottles and Cans. Anyone over 40 will remember that famous line. Then comes the jingle "Plop-Plop, Fizz-Fizz, Oh what a relief it is!" Relief indeed. 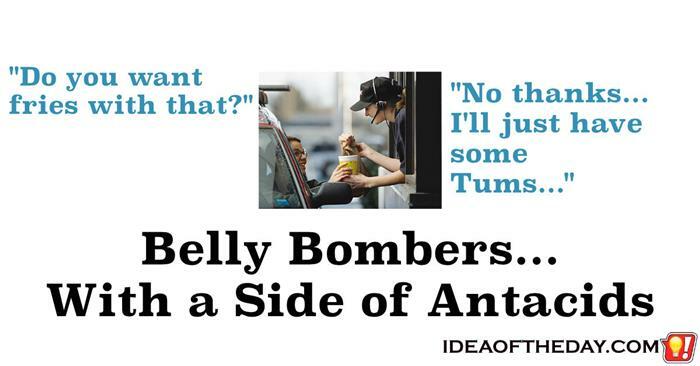 Except, sometimes you get heartburn just trying to find a cup of water. If you walk into a deli, you may find a packet of Alka-Seltzer, and some bottled water, but unless you've got a cup, you're going to make a mess. That is, unless they sold Alka-Seltzer in convenient, ready mixed bottles and cans. Oh what a relief it is now. Just think. You could walk into a deli and say "I'd like a nice spicy meatball... and a can of Alka-Seltzer."